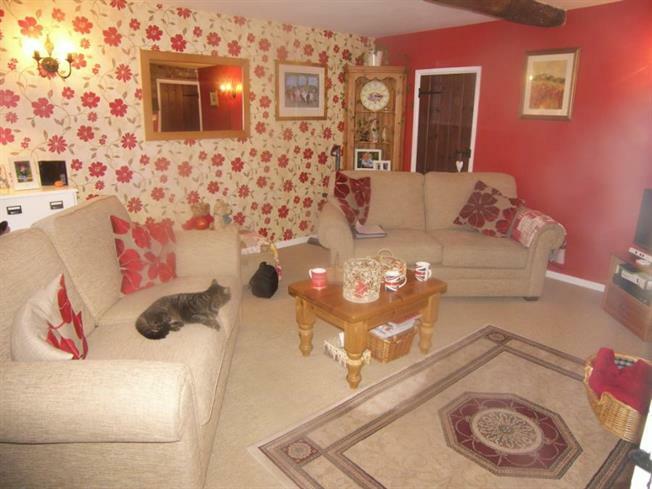 3 Bedroom Semi Detached House For Sale in Norwich for £170,000. With exposed beams, airing cupboard, radiator, window to front and feature fireplace with red brick surround. With exposed beams, electric feature fireplace with brick surround, radiator and window to front aspect. Fitted with freestanding roll top bath with Victorian style shower attachment over, low level WC, pedestal wash basin, under floor heating and two windows to front aspect. Fitted with a range of base and wall units, space for washing machine. fridge freezer and dish washer. Integrated electric oven and hob over, stainless sink and drainer, vinyl flooring, tiled splashbacks and window to front aspect. Velux style window to the rear aspect. Fitted wardrobe, radiator and window to front. Fitted wardrobe, loft access, radiator and window to front aspect. Radiator, window to front aspect and exposed beams. Mainly laid to lawn, with some plants and there is off road parking area for several vehicles.